Amber Rudd has resigned as Home Secretary amid claims she misled Parliament over targets for removing illegal migrants. Ms Rudd telephoned Theresa May to tell her of the decision amid intensifying opposition demands for her to quit. Ms Rudd was thought to be preparing to tough it out, insisting she genuinely did not know about the targets when she gave evidence to the Commons Home Affairs Committee last week. However, having seen mounting evidence in the paperwork about the extent of the knowledge within the Home Office about the targets she decided that she should take responsibility and go. Her decision to stand down will come as a major blow to Mrs May who publicly declared her âfull confidenceâ in her as recently as Friday. Even before she was accused of misleading MPs, she had been under fire for her handling of the Windrush scandal which saw Commonwe alth citizens who came to Britain in the post-war decades being wrongly threatened with deportation. Labour said she was effectively acting as a âhuman shieldâ for Mrs May whose policy when she was home secretary of creating a âhostile environmentâ for illegal immigrants was blamed for causing the problems they now faced. 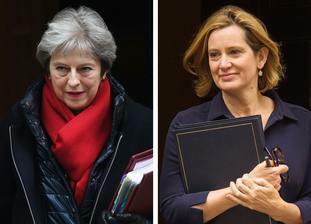 Ms Ruddâs departure will also upset the delicate balance within the Cabinet between Leavers and Remainers ahead of a crucial meeting of the Brexit âwar cabinetâ on Wednesday to discuss Britainâs future customs relationship with the EU. Environment Secretary Michael Gove â" one of the Cabinetâs leading Brexiteers â" was being touted as the front runner to replace her at the Home Office. Ms Ruddâs immediate difficulties began on Wednesday when she told the Commons Home Affairs Committee that the Home Office did not have targets for removals. The following day, however, she returned to the House to admit that Immigration Enforcement managers did use âlocal targetsâ but she said they were ânot published targets against which performance was assessedâ. The pressure then ratcheted up on Friday with the leak of a Home Office memo, which referred to a target of 2,800 enforced returns for 2017-18, and the progress that had been made towards a â10% increased performance on enforced returns, which we promised the Home Secretary earlier this yearâ. In a series of late night tweets, Ms Rudd said she had not seen the memo â" even though it was copied to her office â" but admitted that she should have been aware of the targets. She said she would be making a Commons statement on Monday to answer MPsâ âlegitimate questionsâ about what had been taking place. Her position was further weakened over the weekend, however, when former immigration minister Brandon Lewis â" now the Conservative Party chairman â" disclosed they had held weekly meetings to discuss her plans to increase the numbers of removals, although he insisted they did not discuss detailed targets or numbers. Critics also pointed to a letter she wrote to the Prime Minister in January 2017 â" originally leaked to The Guardian earlier this month â" in which she described her aim of increasing enforced returns as âambitious but deliverableâ. 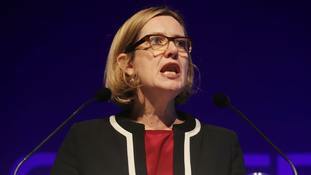 Ms Rudd had previously apologised in the Commons for the âappallingâ treatment of the Windrush veterans â" many of whom came to the UK as schoolchildren â" setting up a taskforce to resolve their immigration status as quickly as possible. However, she was criticised for saying the Home Office was âtoo concerned with p olicy and strategy and sometimes loses sight of the individualâ, prompting accusations that she was trying to put the blame on civil servants. Labour MP David Lammy, who led the campaign on Windrush, said that she had had to go because she did not know what was going on in her own department and had clearly lost the confidence of her officials. âThe resignation of the Home Secretary must not detract from the fact that this crisis was a direct result of the hostile environment policy,â he said.